Summary of the project: I spend a month in Recife developing a campaign that helped young girls understand their self-worth and their rights in order to prevent them falling into the cycle of sexual exploitation. 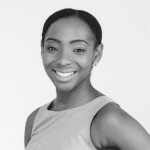 Yewande is currently a Senior Strategist at Maxus London, the fastest growing media agency in the UK. Her main clients are L’Oreal and Associated British Foods, but she works across the Maxus client portfolio helping clients leverage insights and data to develop successful communications campaigns. Born in Nigeria and raised in the UK, Yewande entered the world of communications via the WPP Fellowship. This three year management training scheme saw her spend a year in London working at OgilvyOne as an Account Executive, a year in Singapore working at Maxus as a Business Development Manager across APAC and a year in New York working as a Strategic Consultant for the Futures Company. In 2013, Yewande was one member of a two man team that won the UK’s first ever Gold Cannes Young Lion award at the Cannes International Festival of Creativity. Their winning strategy was for the charity Médecins Sans Frontières. In the same year she was shortlisted for a Media Week Rising Star award. She is currently in her second year as the treasurer for Maxus’ Charity and Social committee. Yewande has a degree in Economics from the London School of Economics and Political Science. The things she loves the most are ballet, 60s West African highlife music, cooking, walking around cities, spending time with other people, and, above all, her faith. Yewande spent a month in Recife, Brazil, helping ActionAid to end sexual exploitation of girls and women in the city. You can read more about her project here.